1929 was a great year of E.L. Cord – well, at least the start of it. His Cord Corporation owned the Auburn, Cord, and Duesenberg marques. And he took them all upmarket, selling some of the nicest automobiles America had yet known. But then the economy tanked and his little empire fizzled out. The first Cord-branded automobile was the front-wheel drive L-29, the first mass-produced front-wheel drive passenger automobile sold in the U.S. 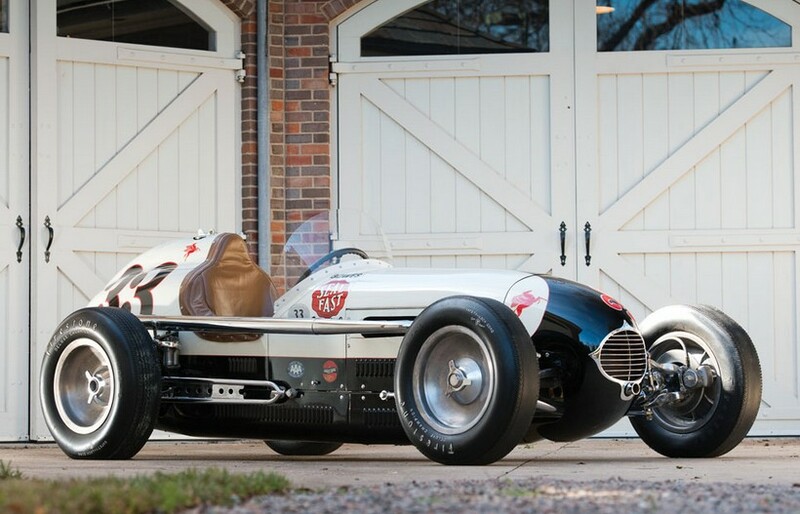 They were powered by a 125 horsepower 5.3-liter straight-eight from an Auburn. It was definitely underpowered, seeing as it’s sister marque, Duesenberg, was using a 265 horsepower engine for their car. What it lacked for in speed (top end was about 80 mph), it made up for in gorgeous looks. The Cabriolet (in this color at that) is the best-looking factory L-29 variant. The only thing that could make it better would be the addition of those skinny Woodlite headlights. Only about 20 L-29 Cabriolets were built out of a total L-29 production run of around 4,400 cars and this is thought to be the last Cabriolet built, as the L-29 was only in production between 1929 and 1932. This example was restored years ago, but it still looks nice and has been with its current owner in Arizona for the last 15 years. Click here for more info and here for more from this sale. We’re back with more highlights from July, beginning with Mecum in Harrisburg, PA. We featured a 1940 International Pickup that failed to meet its reserve with a high bid of $26,500. 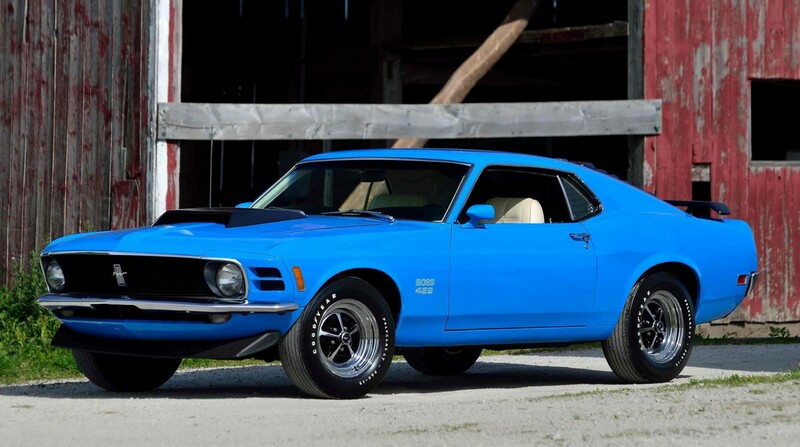 The top sale was this 1970 Ford Mustang Boss 429 Fastback for $220,000. Click here for full results. 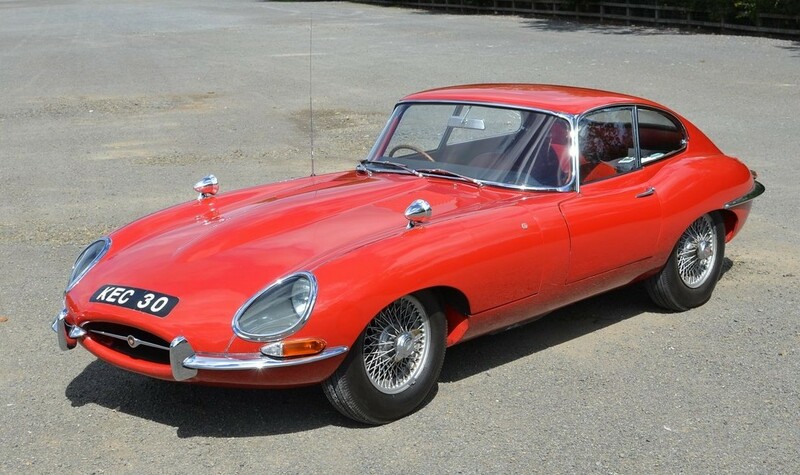 H&H Classics held a sale at Donington Park and this 1972 Jaguar E-Type Series 3 Coupe was the top sale at $54,550. The Mini Scamp we featured failed to sell but you can see all of the results here. And to continue the theme of unsold feature cars, the Arrows-Megatron we featured from Silverstone Auctions’ Competition Car Sale also failed to sell. 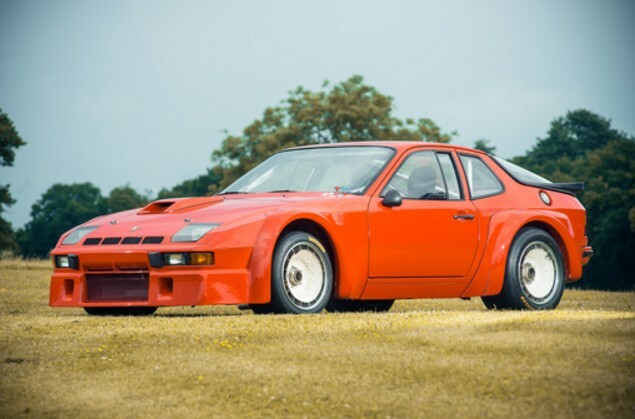 The top seller was this massively-priced 1981 Porsche 924 Carrera GTR that sold for $654,660. Click here for more results. 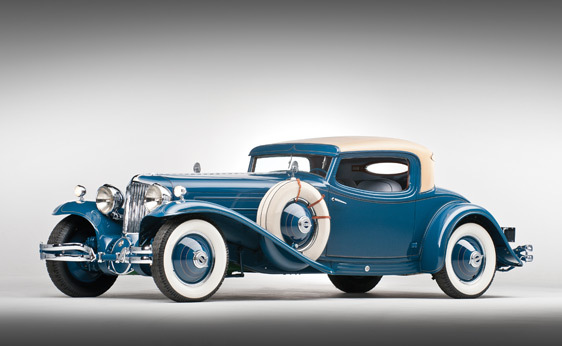 On to RM Sotheby’s Motor City auction where our featured Duesenberg was far and away the top sale at $1,540,000. Second behind that was the Saleen S7 for $632,500. 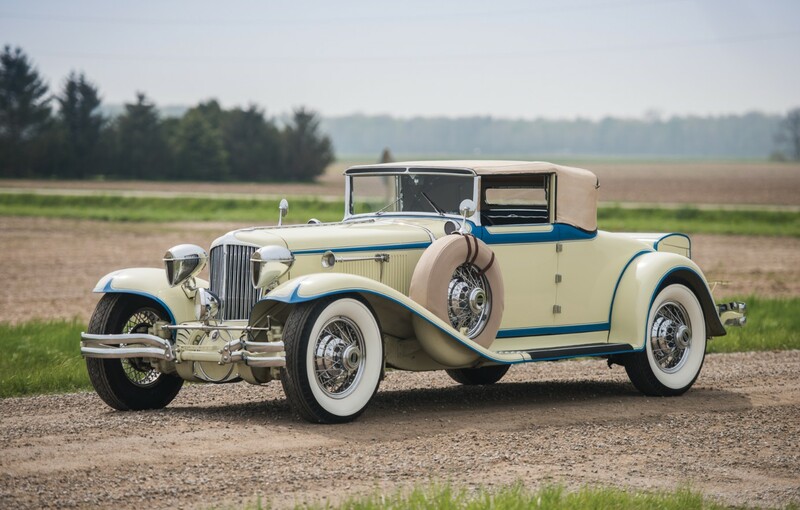 For our “Most Interesting,” we’ll go with this gorgeous 1930 Cord L-29 Cabriolet for $187,000. The Glas Isard we showed here on our site went for $24,200 and the Detroit Electric Brougham sold for $66,000. Click here for complete results. The last sale for this post is Brightwells’ Modern Classics sale. 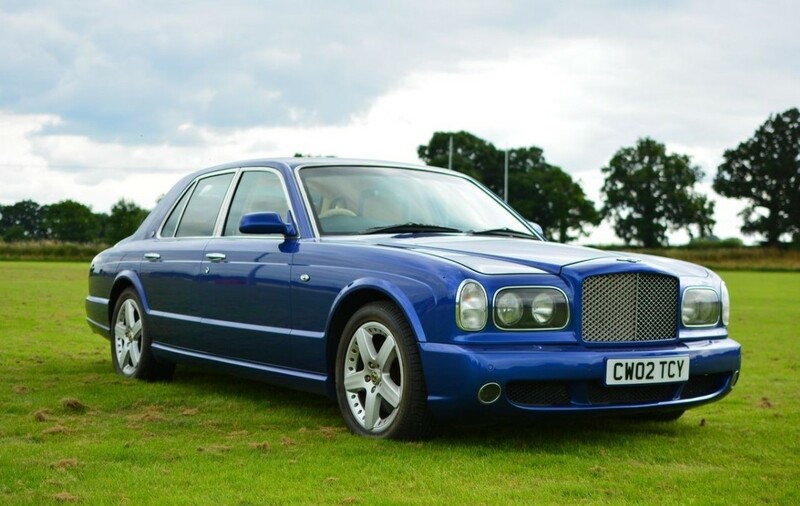 We weren’t able to feature anything from this sale, but the top seller was this 2002 Bentley Arnage R – one of our absolute favorite Bentleys. It sold for $25,890. Click here for more results. 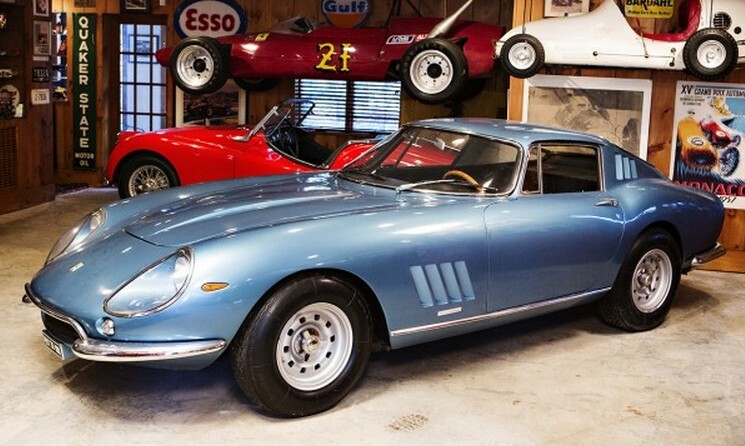 Classic car auctions are multiplying like gremlins. 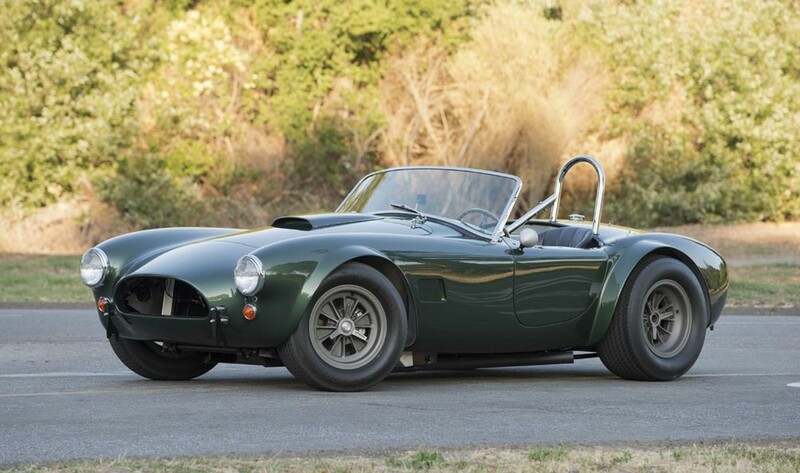 September is full of sales, so let’s get right to it, starting with Worldwide Auctioneers Auburn, Indiana sale where this 1965 Shelby Cobra 289 Dragonsnake was the top sale at $1,300,000. Our featured Jewell sold for $29,700 and complete results can be found here. Auctions America also held a sale in Auburn this month. 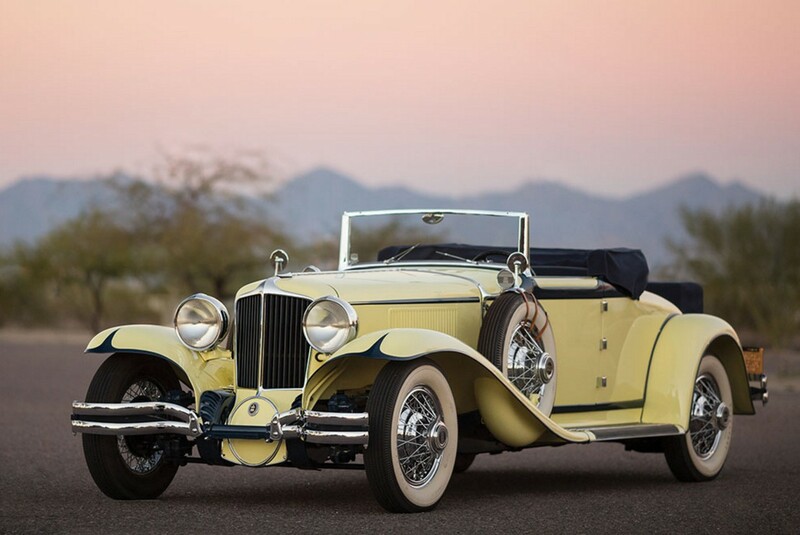 Their top sale was our featured Duesenberg Murphy Convertible Coupe for $1,402,500. 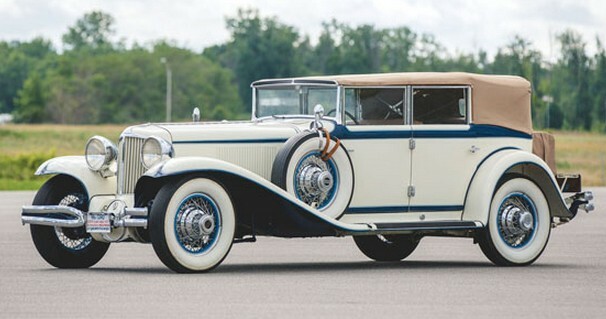 The other Duesenberg failed to sell. We’ll call this 1930 Cord L-29 Convertible Phaeton Sedan most interesting (or at least “prettiest”) for $137,500. Our featured Intermeccanica sold for $159,500 and a previously-featured Buddy Stewart Pickup sold for $20,350. Click here for full results. 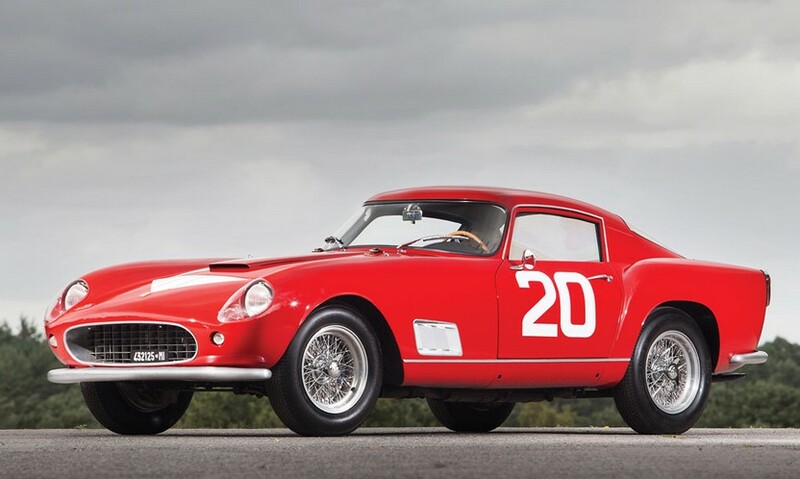 RM’s London sale featured this 1958 Ferrari 250 GT Berlinetta Competizione ‘Tour de France’ which sold for $7,330,400. Our feature cars all sold, with the Bugatti EB110 leading the way at $965,888. 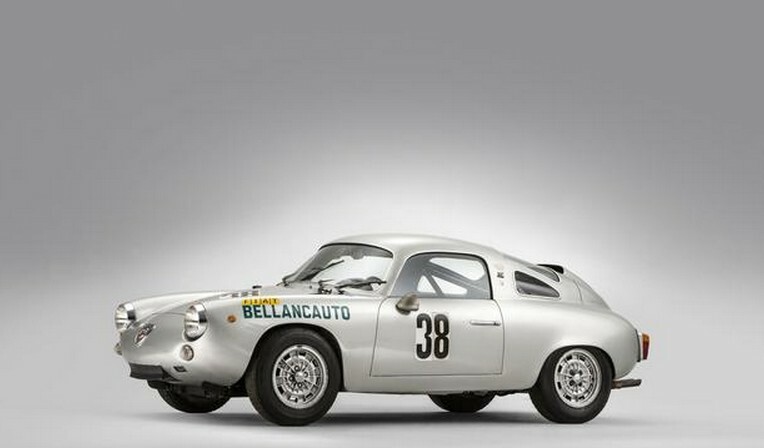 The Cisitalia was no slouch either, selling for $224,224. And the Ferves Ranger was apparently worth its weight in gold at $44,845. Click here for full results. Bonhams Goodwood Revival sale was this month, and this 1965 Aston Martin DB5 Convertible was the top seller at $1,702,210. Our featured Porsche 908 failed to sell. Our other two feature cars both sold. The HRG-Maserati exceeded its estimate, bringing $132,027 and the Scarab F1 car went for $1,053,808. Full results can be found here. And finally, we’ll cover Brightwells’ September sale. 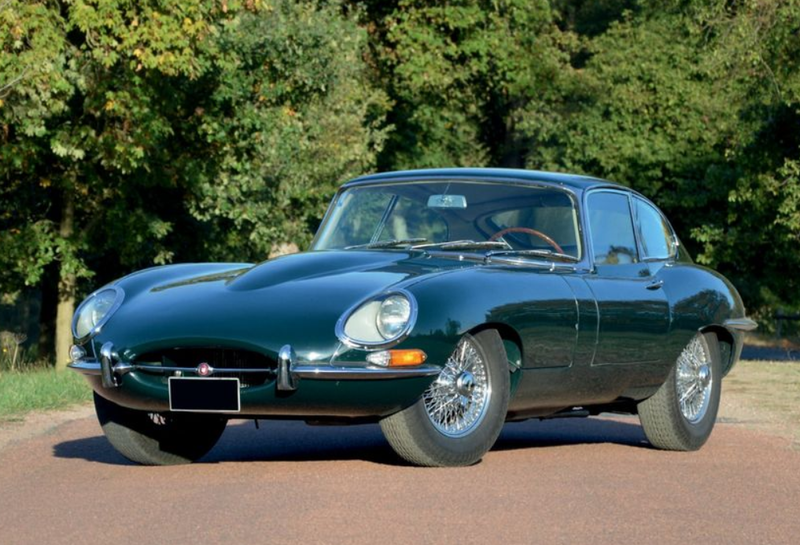 We didn’t feature anything from here, but the top seller was this beautiful 1962 Jaguar E-Type Series I 3.8 Coupe for $164,505. Click here for full results. 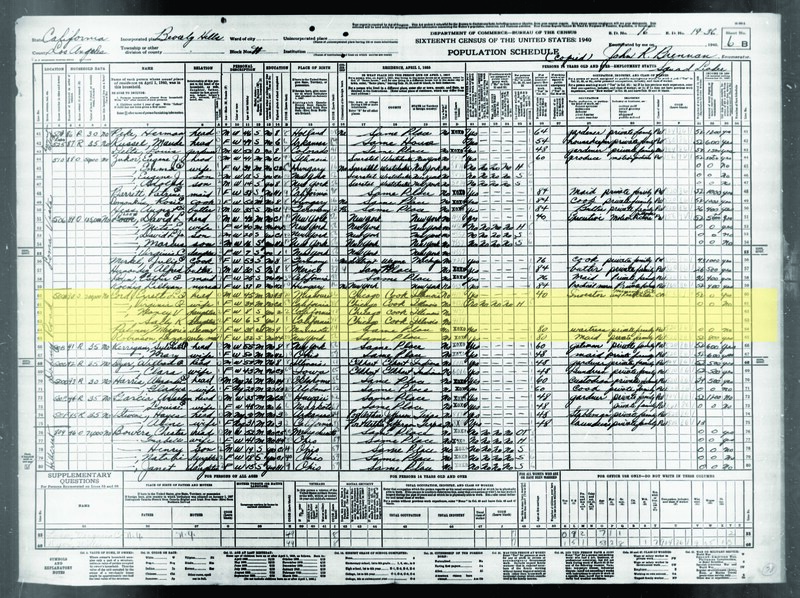 The government was nice enough to put the 1940 Census online. Well I had some free time at work (sshhh! don’t tell anyone!) and spent some time paging through various areas (after finding my relatives), mainly in and around L.A. to find how much money some movie stars’ homes were worth during the Golden Age of Hollywood. I found about 60 interesting people. Well I came across some interesting folks along the way – many movie stars and directors and producers and writers. But also some people from the world of cars. I’ve been meaning to share this for well over a year now, so here we go. Also, because these photos are so big, loading them all in one post keeps crashing the site, so I’ll do one person per post. Errett Lobban Cord was born in 1894 and became an automotive titan around 1930. But the Depression took his empire away and so he moved to California where he made his second fortune in radio and television. On the census he lists himself as an investor in real estate. The address is 500a Doheny Rd, Beverly Hills, California. The house he lived in (valued at $200,000 in 1940) no longer stands as a $5 million home was built there in 1985. Cord resided there with his wife and two daughters. He also had a servant and a parlor maid. Cord relocated to Nevada in the 1940s and died there in 1974. Simply the most beautiful L-29 I have ever seen – LaGrande Speedster included. The body was designed by Count Alexis de Sakhnoffsky and built by the Hayes Body Corporation of Grand Rapids, Michigan. I’ve been sitting here staring at the car for some time and I think it all comes down to the windows. They have an almost teardrop shape to them. Revolutionary in design, the Cord L-29 made front-wheel drive a viable option for stylish, low-slung cars. They were the first to offer such a configuration and they did it with style. Unfortunately, performance couldn’t quite match the looks that went with it. The L-29 had a 4.9 liter inline eight-cylinder engine making only 125 horsepower – which, compared to most common automobiles of the time this was a lot (the Ford Model T had gone out of production two years earlier with a 20 horsepower engine). But for cars in its price range, it was lacking – especially since it weighed almost 2.5 tons and was only capable of a little more than 75 mph. But that’s no matter, because in 2012 you aren’t buying a Cord L-29 to set land speed records. You’re buying them for their indelible sense of style and what they represent – the flair of the last days of a bygone era. The Roaring Twenties were crashing to a halt and E.L. Cord was introducing new lines of fabulous automobiles that only a select few could afford. It was a losing proposition but he hung in there as long as he could and this is the fantastic result of his passion. This car cost about $20,000 to build in 1929. Upon completion, it toured Europe and won awards. In 1941 it was acquired by famed designer Brooks Stevens (for the outrageous sum of $1). It was restored under Stevens cars in the 1980s and was sold in the early 1990s and passed hands once again about four years ago. There is only one of these and it has known ownership history from new. Don’t miss your chance. Cord L-29s are always pretty, but this one takes it to another level. RM did not publish an estimate for this car, so look for it to bring a sizable chunk of change. For the complete catalog description click here and to see more of what RM has waiting to be sold at Amelia Island, click here. RM’s big sale in Arizona (almost two weeks ago… we’ve kind of had a backlog of auction results to publish and they were the last to publish their results online). 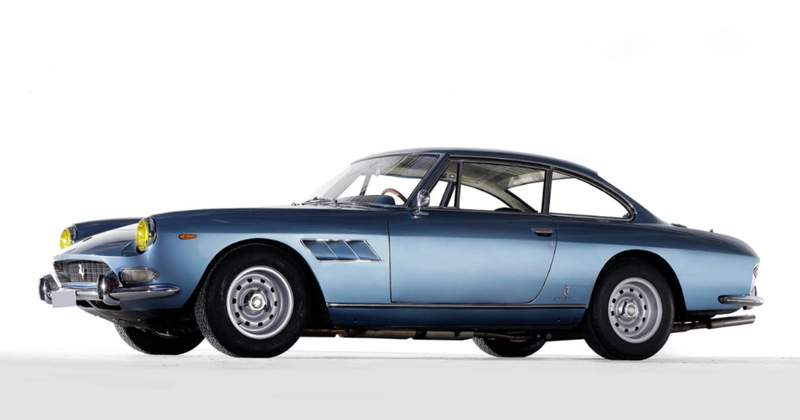 As I’m looking back at it, we featured a number of cars from this auction including their top seller: this 1957 Ferrari 410 Superamerica that sold for $1,815,000. The second highest-selling car was the first car we featured, the most fantastic looking BMW 507 Roadster I’ve ever laid eyes on. It sold for $990,000. RM sold 90% of their cars for a total of $25.6 million. A trio of pre-1905 American cars all sold, including our featured 1901 Duryea Four-Wheel Phaeton that was purchased by Mr. Car Crazy, Barry Meguiar for $96,250. 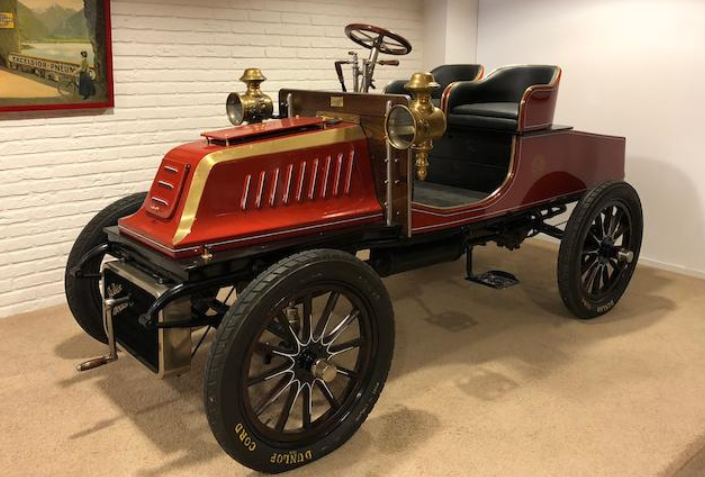 Also sold were the 1903 Waverely Electric Surrey for $110,000 and the 1903 Stearns Suburban for $82,500. One of two cars we featured that did not sell was the 1913 Pathfinder Touring car, which was bid to $90,000. 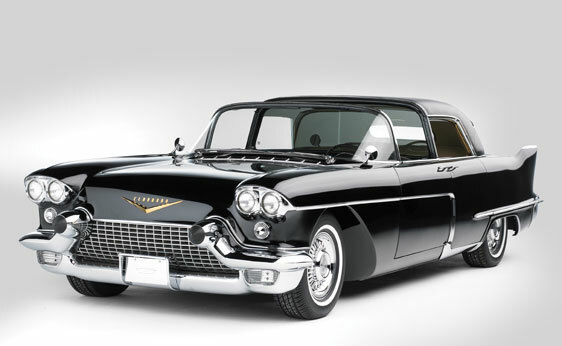 A giant 1956 Cadillac Eldorado Brougham Town Car Concept sold for $258,500, missing its reserve by $50,000. This car came from the John O’Quinn collection and had gone unsold at at least one other RM event. From the 1950s we featured a 1953 Nash-Healey and a 1954 Allard K3. The Nash-Healey brought $71,500, just short of my projection and the Allard was a relative steal at $57,750 – less than half of what a similar car (or the same one) was listed as “for sale” for a few months back. Other pre-war cars that sold were the very rare Brewster-Knight that sold for $88,000. 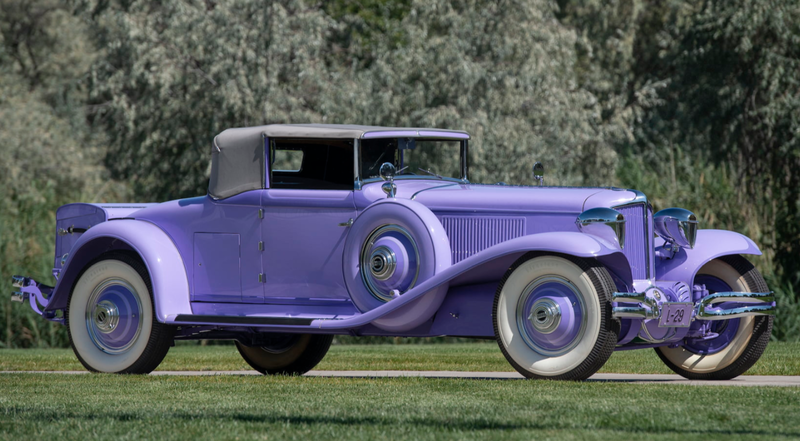 And that wonderful, purple Isotta Fraschini sold for $407,000 – dead on what I said it would bring (no I’m not bragging). 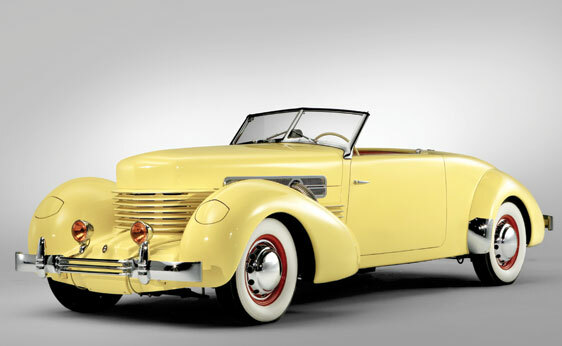 Also sold was this amazing 1937 Cord 812 SC Sportsman Convertible Coupe. One of 64 – yours for $385,000. Supercar fans could have had their choice of our featured Tom Walkinshaw Racing prepared 1993 Jaguar XJ220 S that sold for $230,000. 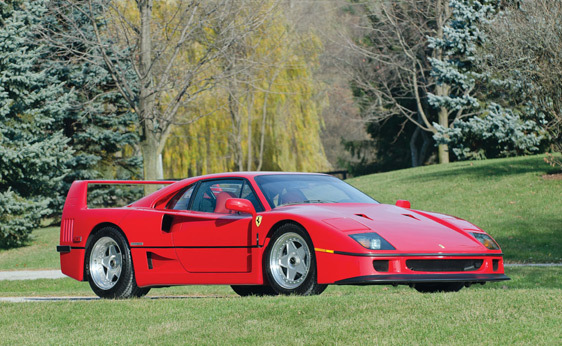 Or the always popular Ferrari F40, this a 1991 model that brought an astounding $781,000. 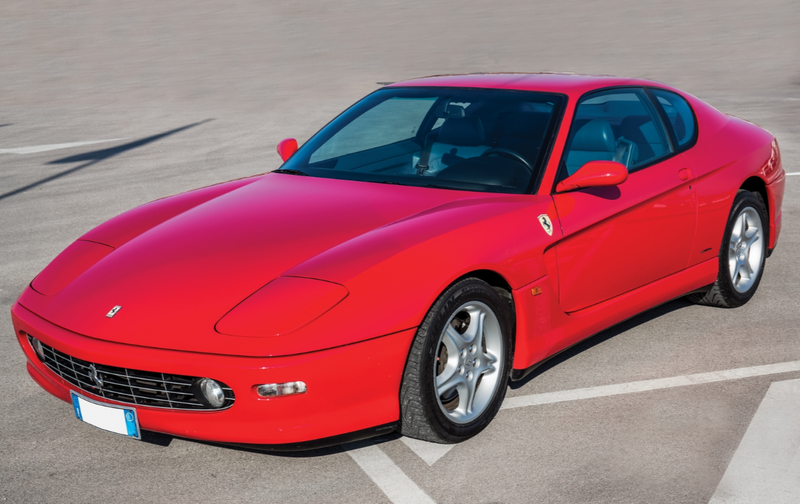 The other Ferrari we featured, a 1983 512 BBi sold for $96,250. 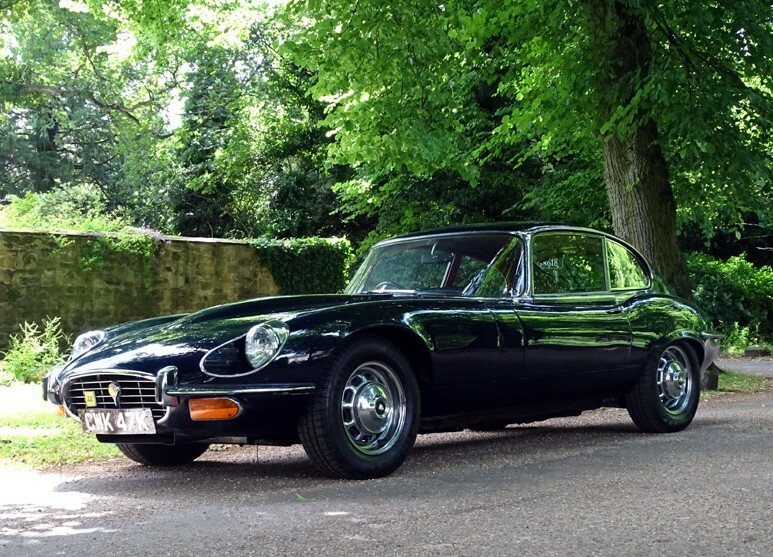 And the other Jaguar, a 1967 Series I E-Type went unsold. 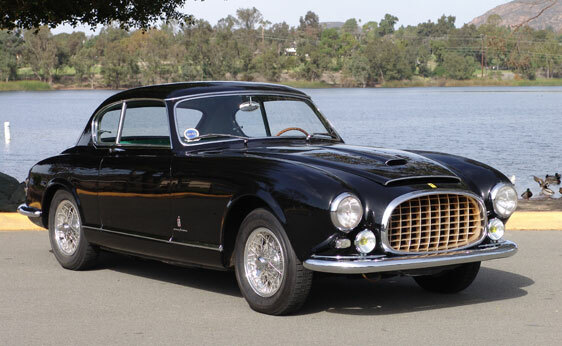 There was another very rare old Ferrari at this sale, a 1952 342 America Coupe Speciale by Pinin Farina – one of six built and one of only three coupes built by Pinin Farina. It sold for $632,500. 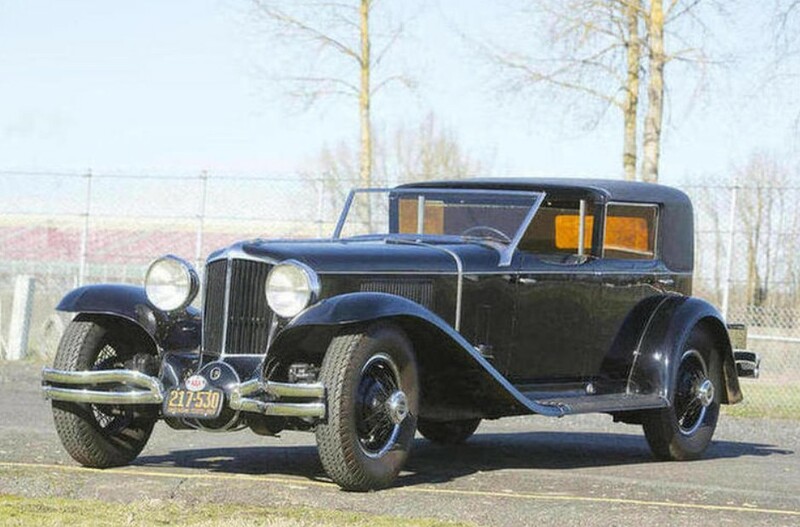 There was a Duesenberg Model J sold at this sale and I’ve said previously that we’d feature every Model J Duesenberg that comes up for sale if at all possible. Well, we ran out of time before the sale. Once we clear the backlog and get caught up we’ll be sure to have a rundown of that car. For complete auction results, click here.